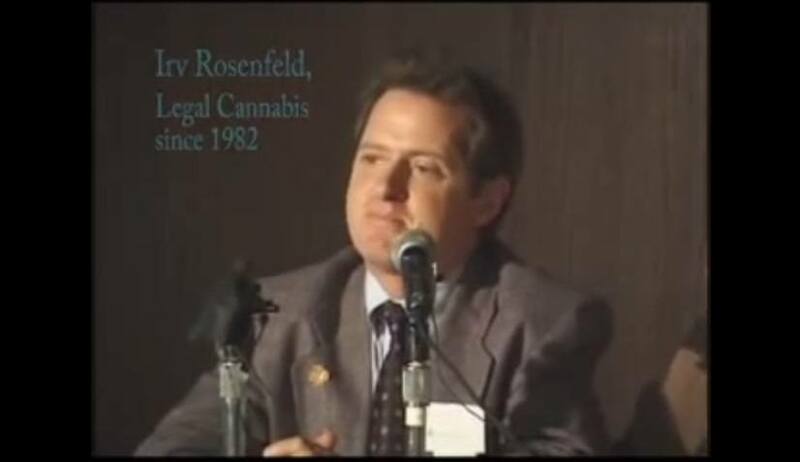 Sometime during the late 1980s, a Sunday talk show featured a “debate” on legalizing marijuana for medical purposes. The person against such legalization came up with an unintentionally silly line, “I wouldn't want to be on a plane with a pilot using marijuana.” Well, he wouldn't want to be on a plane with an alcoholic pilot either, and alcohol is legal. So legality has nothing to do with individual judgment or airline rules. That was a good example of a straw man argument. Such straw man arguments are common when it comes to discussions on marijuana, medical or otherwise. What was impressive then was the pro-medical marijuana advocate. He was a stock broker in South Florida who smoked 10 to 12 cannabis cigarettes daily. It was amazing that he could talk with anyone on a live TV telecast and argue his point. Advising clients on investment choices seemed to be even more ridiculous. But it turns out to be true. Irvin Rosenfeld was diagnosed with a rare bone disease called hereditary multiple exostoses (HME) at the age of 10. The pain from the bone tumors, usually non-cancerous, irritating skin and muscle tissue could only be made manageable with dangerously addictive narcotic prescriptions. Medical marijuana turned out to be a much better solution, and eventually the federal government was supplying him medical marijuana to manage his pain.